Adoption reference letters should in a way highlights and portray the ingenuity and the kind-heartedness of a couple who are willing to adopt a child ensuring his or her well-being and a bright future. 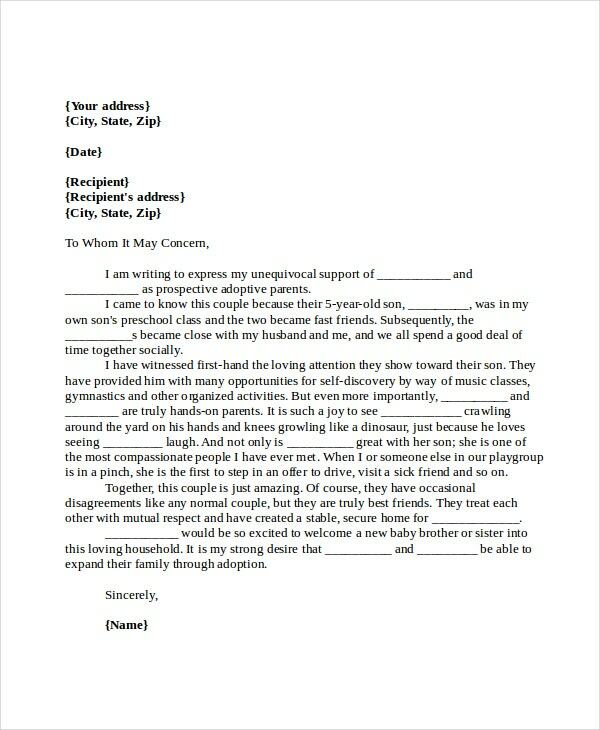 These letters can either be sent from an adoption house citing examples of any previous adoption wherein the couple has shown exceeding care and love for the kids or even from any peers or friends citing the couple to be extremely warm and wanting for a child. These letters are drafted in Word or PDF format and do help in labeling themselves as eligible to nurture a child. You may also see Employee Scorecard Templates. 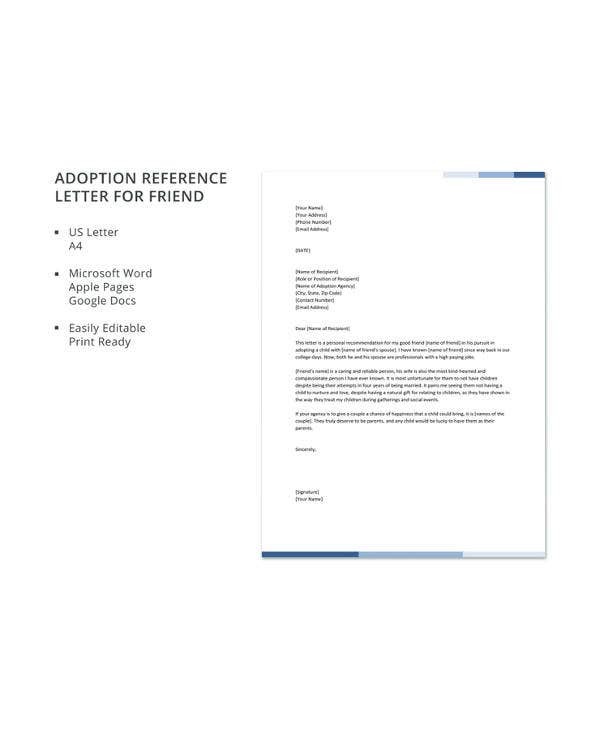 Each and everyone in this world will have a friend without children and that person will ask you to provide adoption reference letter for them when you are an adoptive parents. Apart from the personal or common purpose, an adoption reference letter is especially for your friend one who was living without children. 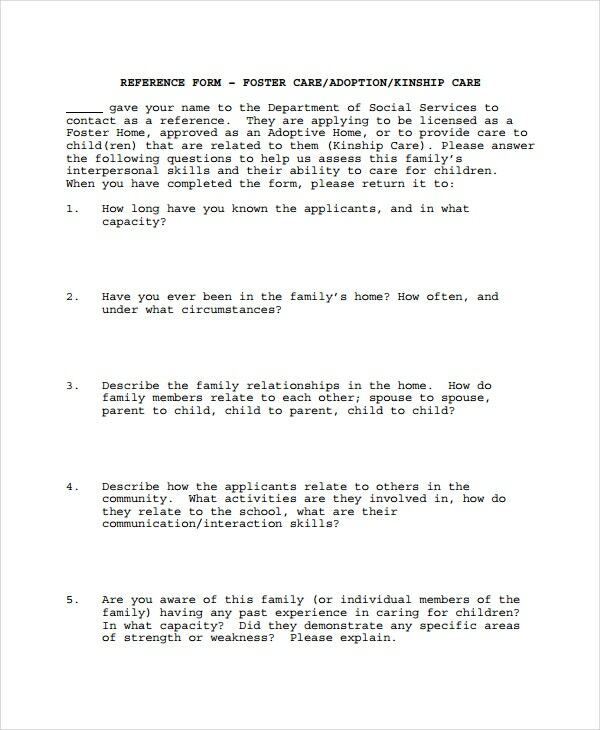 In general, the adoption reference letter is used for parent to adopt a child. You may also see Tenant Reference Letter Templates. In general, if you are in a position of already an adoptive parent that is an experienced parent means then it is not a difficult process to write a Character reference letter for adoptive parents. There are certain traditional things are available here that you have to follow when you are going to provide a Character reference letter for adoptive parents. In those parents characters must be clearly described. 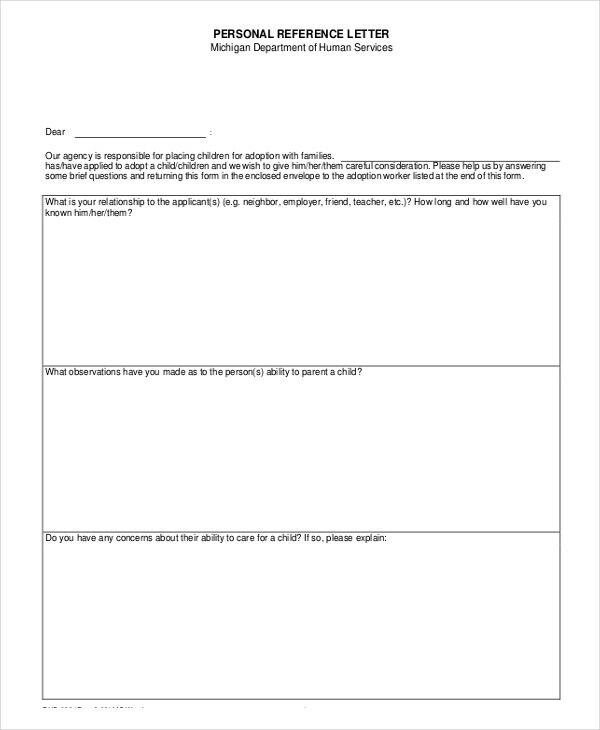 An adoption reference letter is especially used for the purpose to support the adoptive parent by providing an overview of their ability, character, skills and their knowledge to handle a child. In general, the adoption reference letter is mainly used for the talented adoptive parent to get a suitable adoption reference. The template will generally show the basic format of an adoption reference letter. Apart from the letter from the any other persons, the questionnaire reference letter will describe the entire positivity of the adoptive parents for the only reason is they are asked various questions before giving a child. Friends are like family and blood relation, so they will not describe the negatives of the adoptive parent, they will only consider the positive of their colleague. Owing to the adoption reference letter there are enormous number of parents without children can able to get benefited by adopting the children who were an orphan or left alone by their own parents. 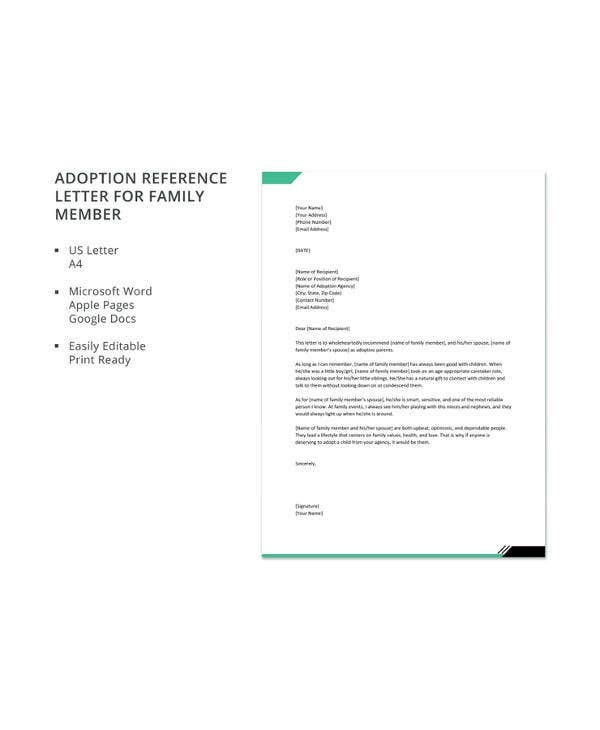 Through this adoption reference letter, the adoptive parent can able to get major benefits by adopting the children who were an orphan or left alone by their own parents. You can refer your friends who were living without child, relative who were living without child or any other person who were living without child to adopt a child. So with this letter parents can adopt a child. You may also see Reference Letter For Friend Templates. At first everyone must clearly know about the adoption reference letter which is entirely different from the various reference letters. It is the letter, where the adoptive parent could get it from which they know that person professionally instead of personally. For the purpose of the adoption of a child. The adoption reference letter can able to be used, mainly focusing on the age and the qualities of the person to get the suitable child to adopt. Also in the adoption reference letter, professionalism will be less when compare to the personal. 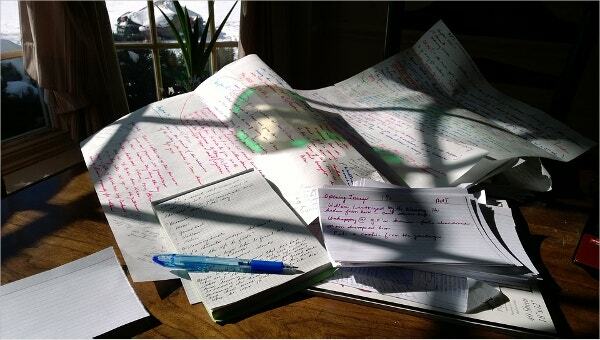 Success in the adoption reference letter can be achieved only by increasing the personal method of writing in the letter. You may also see College Reference Letter Templates. 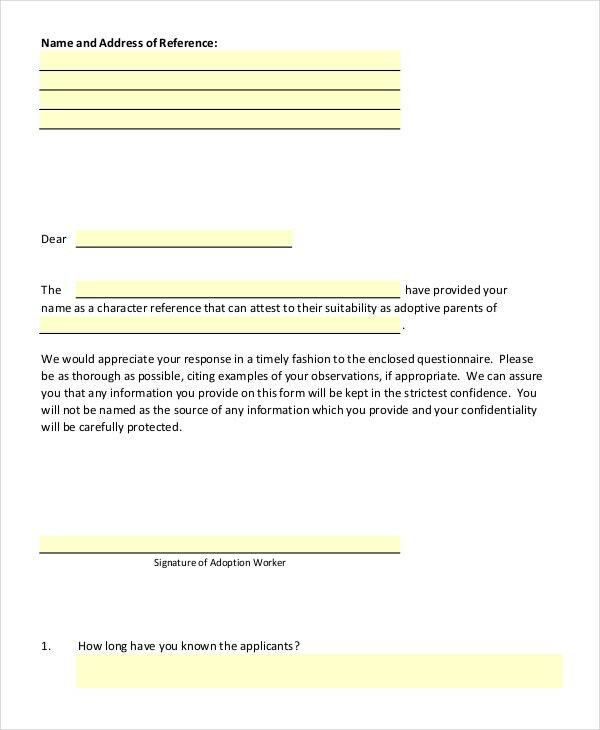 The major advantage in the adoption reference letter is the clearly understandable professional format about parent’s details. Each and every format contains in the adoption reference letter are very easy for the responsible person who are going to read that. Apart from the ordinary reference letter, the adoption reference letter has greater values and it can speak up to any level. Immediate response will also be provided to the adoption reference letter and the adoptive parents who are requested for this letter will immediately get the response. You may also see Landlord Reference Letter Templates. 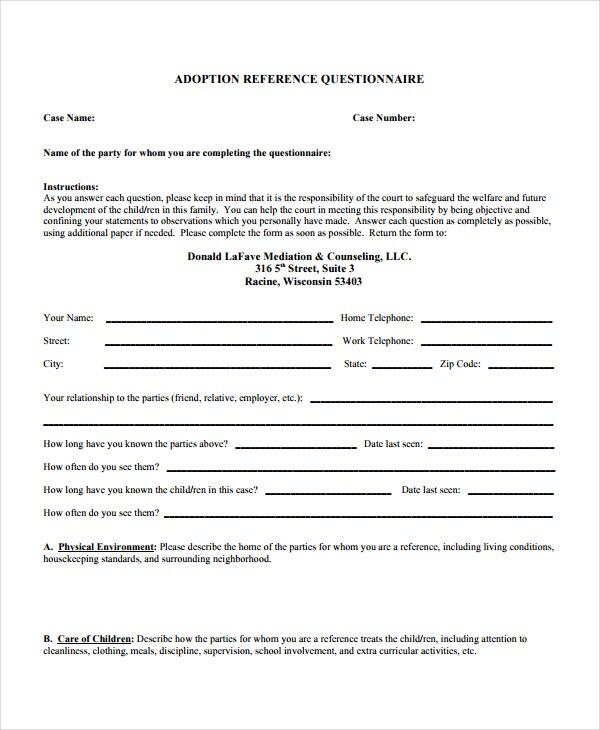 With the adoption reference letter, you can able to settle your friend or relative without children by adopting the children in an effective manner, which were an orphan or left alone by their own parents and parent can adopt. Make sure the letter which you are writing must follows the terms and conditions of what usually the method of writing contains.